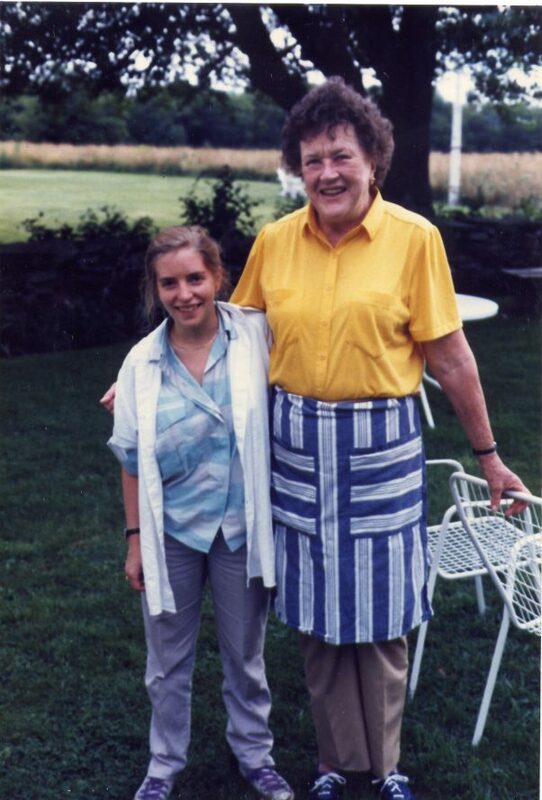 I started working with Julia Child in the late seventies. 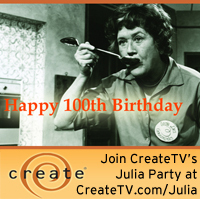 I was the chef manager of a catering operation in Cambridge, MA, and one day, while one of my workers, Berit Pratt, and I were peeling what seemed like hundreds of hard boiled eggs for an upcoming event the subject of Julia came up. Berit said she had worked on Julia’s shows as a volunteer. I asked if Julia would take on another volunteer for the next taping. Berit said that they were just about to shoot a new show, “Julia Child and More Company” and she would ask Julia about me. Julia said, “Hello dearie, Berit told me all about you, but I was just wondering, “Do you food style?” Now as a chef, several years out of cooking school, I figured I always arranged food nicely on the plate, but had I ever done food styling professionally? No. Meaning, just smile, smile, smile. Julia did not have a phony bone in her body so if she said to smile, then I understood that was an important part of the job. From then on I was much better at smiling and told all my guests to smile constantly and for no particular reason. I think of Julia often, especially when I am feeling discouraged. She just kept on going, like the energizer bunny, almost until the day she died. 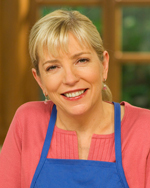 Sara Moulton is the host of Sara’s Weeknight Meals, distrbuted by American Public Television. 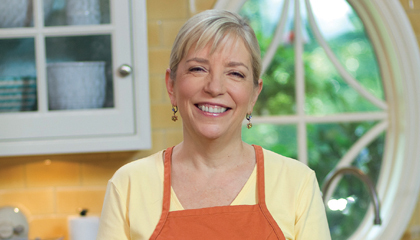 She is one of the most beloved culinary personalities on air and in print. As Gourmet magazine’s executive chef and food editor for Good Morning America, Sara has been at the forefront of making the kitchen fun and accessible through the power of TV — earning trust and admiration along the way.